Cushman Truckster Haulster Seat Cover Engine Cover Shield Seat Assembly. E-Z-GO: 607454. Cub Cadet: 1500 series with Kawasaki engines. John Deere Lawn tractors: 112L, LX172 and LX176 with Kawasaki engines; front mount F510, Z925A, Z930A, Z950A, Z960A and Z970A ZTrak mowers; 2500 and 2500A, gas, Tri-Plex greensmowers, 2500B and 2500E hybrid gas riding greensmowers; 2243, 2653 and 2653A gas professional utility mowers; 1200 and 1200A bunker and field rakes; Gator TX Turf and 1800 utility vehicles. I could not find any part numbers on this cover only thing I could find was a date stamp it’s 12/23/97. Fits: LF100| Turfcat II| Turfcat T422D| Turfcat C322D. Cushman: 833438. John Deere Lawn tractors: 112L, LX172 and LX176 with Kawasaki engines; front mount F510, Z925A, Z930A, Z950A, Z960A and Z970A ZTrak mowers; 2500 and 2500A, gas, Tri-Plex greensmowers, 2500B and 2500E hybrid gas riding greensmowers; 2243, 2653 and 2653A gas professional utility mowers; 1200 and 1200A bunker and field rakes; Gator TX Turf and 1800 utility vehicles. 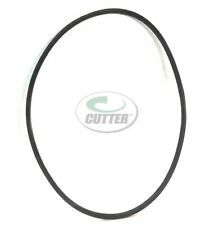 Front wiring harness for Cushman 3-wheeler 898507 model truckster. VERY scarce as new ! Mounting Thread: 3/4"-16. Effective August 30, 2018. This V-Belt Crankshaft accessory drive pulley is in good usable condition ready to be installed removed from a 1998 Cushman Turf Truckster model 898652 The Cushman that this was removed from was a 4 wheel machine it was a 2wd. Used piston, rod with needle bearings and cylinder out of a Cushman Trackster. Everything needs to be cleaned and decarbonized. Piston has a few marks in it and rings have carbon build up behind them but everything is runable. Battery is dead in my mics but cylinder skirts measure about 3 3/4. I have nothing else available for them. Free shipping within the US only. Thanks! OMC 18hp Cushman Frontline Engine Pulley Part # 5222. NEW Cushman accessory. Part number 885488. This kit is for 1980s & 90s Trucksters and Haulsters equipped with the short dump box. It positions a tailgate release lever at the front of the box. This is a complete kit with all necessary hardware and instructions. Cushman Rear End Worm Gear, New never installed. New ListingCushman Truckster Haulster Seat Cover Engine Cover Shield Seat Assembly. Part Number 841636. This may fit other Cushman models. We do out best to test, inspect and clean all of our used parts. Pittsfield, MA 01201. CUSHMAN RYAN TRUCKSTER. WE TAKE THAT STUFF TO THE JUNK YARD. IN ALASKA & HAWAII. YOUR ARE GETTING THE ONE IN THE PICTURE. IF THE QUANTITY INDICATES 1. Cushman Frontline 807. Hydraulic Lift Assembly. I have many parts from this donor machine that may not be listed. We clean up, inspect, and identify parts to our best abilities. We will always do our best to make it right for you. 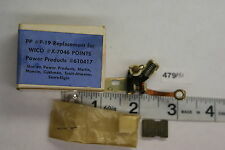 Part Number 893633. with the Suzuki 970 engine.This may fit other Cushman models. Pittsfield, MA 01201. 100 Clarkson Ave.
Cushman OMC 18hp Engine Block Appears to be a good block. # 111655DZ Part # 5219. Cushman EZ-GO 4140910 Crankshaft Bearing Set. PART# 111966. CUSHMAN RYAN EX VALVE. WE TAKE THAT STUFF TO THE JUNK YARD. IN ALASKA & HAWAII. YOUR ARE GETTING THE ONE IN THE PICTURE. IF THE QUANTITY INDICATES 1. 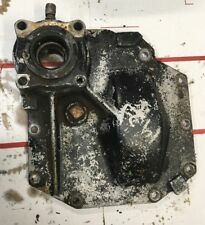 This is a rear Transmission mount for a 4 wheel 2wd Cushman with a 3 cylinder gas engine with a 4 speed with reverse manual transmission The style Cushman this was removed from had an aluminum transmission not cast-iron model # 898652. This item may fit many different models. OMC 18hp Hydraulic Oil Cooler and Mount Part # 5220. Good working Motor Hydraulic PTO.Part Number is 894640. We do out best to test, inspect and clean all of our used parts. We have dedicated 2500 sqf of our warehouse to used parts. Good working Tandem Hydraulic Hi Flow Pump.Part Number is 894674. This is the two section high flow pump. We have dedicated 2500 sqf of our warehouse to used parts. We do out best to test, inspect and clean all of our used parts. YOU WILL RECEIVE EXACTLY WHAT IS PICTURED-NO MORE OR LESS. Have also included a photo of the model number plate on the machine that photo is just for reference. the gas tank was removed from a Cushman 4 wheel turf truckster model 898652. Part Number 2700621. This may fit other Cushman models. Pittsfield, MA 01201. 1/2" X 41-1/2" Cogged V-Belt, Cushman 2701109. The semi driver is responsible only to get the item to the back of the truck. You are responsible for unloading. 1/2" X 35" cogged V-Belt, Cushman 841967. The semi driver is responsible only to get the item to the back of the truck. You are responsible for unloading. 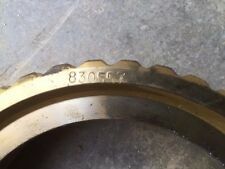 3/8" x 30" cogged V-Belt, Cushman 879628. The semi driver is responsible only to get the item to the back of the truck. You are responsible for unloading. Cushman 522200 Hydraulic Filter. CUSHMAN 522200. PUROLATOR PER312H. HASTINGS P737. HASTINGS HF737. GMC 25012354. FRAM P6485. FORD 178562.